The idea for the project came in 2008 during a journey to Umbria where I visited Assisi and I was so fascinated that I decided to create a Chapel for Saint Francis. The Saint Francis Chapel does not meet the conventional principles of the design of a chapel. 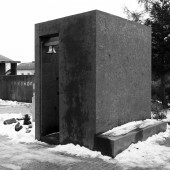 It is a small cubic room inviting to pause for a moment of remembrance. The relationship with nature associated with Saint Francis is not what the design of the chapel shall convey, but it is the simplicity and openness, the reduction to elementariness and the restraint of symbolism. A room of meditation was created: a room of possibilities which is open for everyone. The open ceiling shall guide the view beyond the everyday. Small candle niches link to the traditional mysticism in this sparse room. The Chapel as a room of meditation should create a dialogue between different cultures. This is shown by a restraint of symbolism. More Over the building stands in connection with the local cemetry. People have the opportunity to set candles alight for their beloved deceased. In addtion a new public space was created between the entrance of the cemetry and the Chapel. The local parish uses the Chapel for several ceremonies during the year (Harvest festival, Feast of Corpus Christi, etc.). The project started in June 2009 and was finished in August 2011. The Chapel is situated in the north of Upper Austria (district Perg, Arbing im Machland). Several institutions promoted the project like the Government of Upper Austria and University of Fine Arts Linz. Furthermore "E medio cantus", a young choir organized a benefit concert for the Chapel. Many other people from around gave donations for the project. Without their help it would not have been possible to complete it. Structured (OSB board) black concrete was used as one material for the hole building. 4/2,5/4 m; Both walls and floor are made by concrete. Inside of the Chapel are inches from 0,5 to 2 meters height for candles. 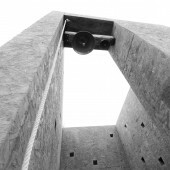 The Saint Francis Chapel does not meet the conventional principles of the design of a chapel. 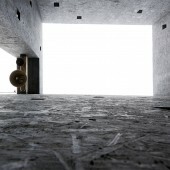 It is a small cubic room inviting to pause for a moment of remembrance. The relationship with nature associated with Saint Francis is not what the design of the chapel shall convey, but it is the simplicity and openness, the reduction to elementariness and the restraint of symbolism. A room of meditation was created: a room of possibilities which is open for everyone. 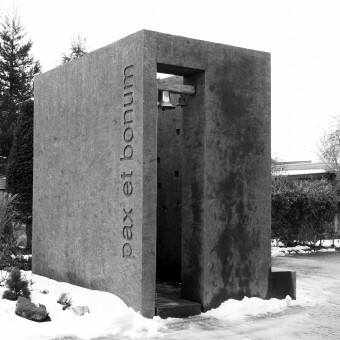 It is a place of reflection, as suggests the inscription “pax et bonum” on the exterior wall. Looking at the chapel from the exterior, you will get the impression of a complete building. The small room of six square meters is surrounded by black concrete walls. The open ceiling shall guide the view beyond the everyday. Small candle niches link to the traditional mysticism in this sparse room. 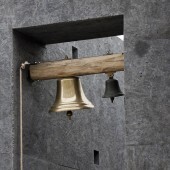 At the entrance, there is a small bell offering visitors the opportunity of concluding their reflection. The aim of the project was not only to create a room of meditation. It should also create a dialogue between different cultures (restraint of symbolism). The Chapel is open for everyone. Saint Francis Chapel Room of Meditation by Rafael Hintersteiner is a Nominee in Architecture, Building and Structure Design Category. · Click here to register today inorder to be able to view the profile and other works by Rafael Hintersteiner when results are announced. Saint Francis Chapel Room of Meditation by Rafael Hintersteiner is Winner in Architecture, Building and Structure Design Category, 2011 - 2012. 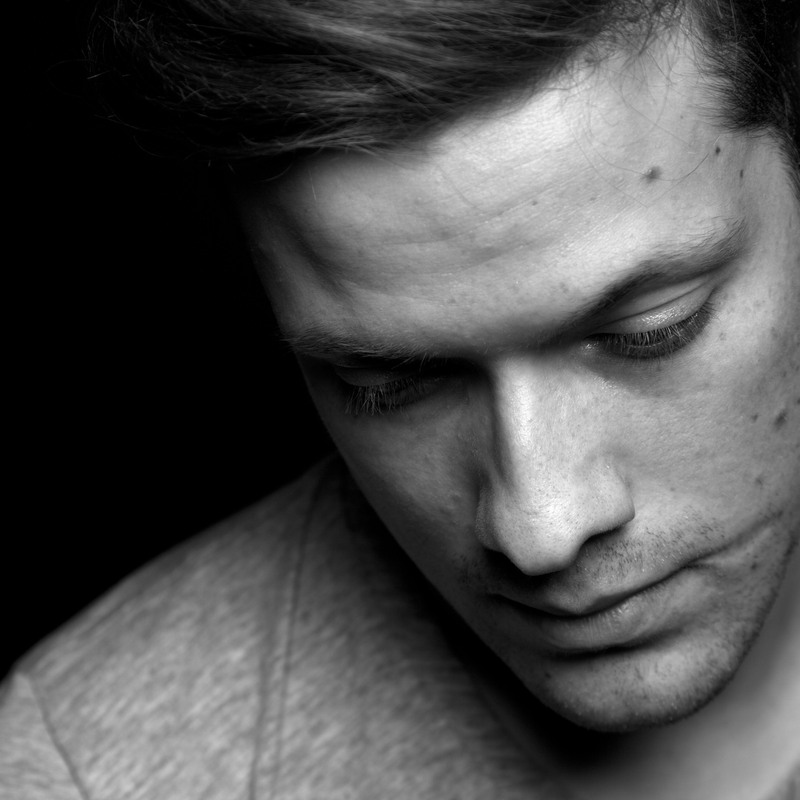 · Read the interview with designer Rafael Hintersteiner for design Saint Francis Chapel here. · Press Members: Login or Register to request an exclusive interview with Rafael Hintersteiner. · Click here to register inorder to view the profile and other works by Rafael Hintersteiner. Did you like Rafael Hintersteiner's Architecture Design? Did you like Saint Francis Chapel Room of Meditation? Help us create a global awareness for good architecture design worldwide. Show your support for Rafael Hintersteiner, the creator of great architecture design by gifting them a nomination ticket so that we could promote more of their great architecture designs.